Despite a pressing need for adolescent HIV research in sub-Saharan Africa, ethical guidance for conducting research among minor adolescents is lacking. One ethical issue is the degree to which parents should be involved in the research process. The existing discourse is predominantly speculative and focuses on negative consequences of parental involvement. We use empirical data to describe the perspectives of Kenyan adolescents on parental involvement in consent and disclosure of HIV test results within a research study context. We conducted two rounds of focus group discussions with 40 adolescents in western Kenya to ask about minor adolescent participation in HIV research. We analysed data using codes and matrices. 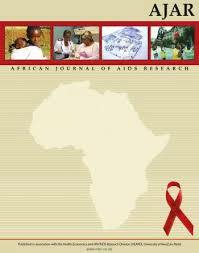 Kenyan adolescents were largely in favour of parental involvement during the research process. Half felt adolescent minors should solicit parental consent to participate, and nearly all said parents should learn the HIV test results of adolescent minors in order to provide necessary support. From their perspective, involvement of parents in research extends beyond obtaining their consent to providing essential support for youth, regardless of HIV status, both during and beyond the research study. Ethical guidelines that prioritise adolescent autonomy in research must consider reasons to involve parents considered important by adolescents themselves, particularly in low-resource settings.